Prime Minister Sheikh Hasina was named in a list of 100 global thinkers by US-based Foreign Policy magazine. 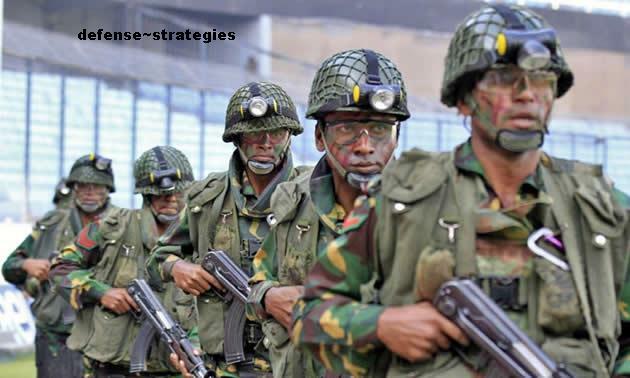 “Sheikh Hasina has responded to the greatest security challenge facing Bangladesh with a generosity. . . Rather than turn away the approximate 700,000 Rohingya[s] who fled persecution in Myanmar, Hasina welcomed them and allowed them to remain in her country,” the journal wrote in its 10th annual special edition titled Winter 2019. Hasina made the list under the “Defense and Security” category. Referring to the background of the list, the Foreign Policy said they had selected the leading global thinkers cautiously considering their stake in shaping the world mind. Last year, Sheikh Hasina was ranked 26th in Forbe’s list of the world’s 100 most powerful women. Foreign Policy is an award winning and well-established magazine which was started around 40 years ago. One of the most influential American magazines Foreign Policy has published a list of 100 top global thinkers of the present decade and Sheikh Hasina is one of them. Four years ago, in 2015, Foreign Policy published another list of 100 great global thinkers of the world. Hasina was included in that list also. In the decision makers category 13 top intellectuals were selected and Hasina was included there. Foreign Policy said that Hasina faced the greatest challenge in the field of defence and security but she handled the opposition with tolerance. She did not oust the 7 lakh Rohingyan refugees from her country but gave them shelter. After her massive election victory in Bangladesh Hasina’s leadership has been far more appreciated all through the outside world. In the past she received a peace prize from Neil Kinnock, the former leader of the British Labour Party. For her role in ending the long war in the hill tracts and her non-aggression policy to settle disputes with the neighbouring countries she was awarded the Helsinki peace prize. Even a war mongering British leader like Tony Blair praised Sheikh Hasina for her peace making role in the world. Henry Kissinger, the controversial ex-foreign secretary of America praised Hasina for her contribution to world peace. Under her stewardship the country is no more a bottomless basket, but has become a wonderland of economic development. With this background she has become the country’s prime minister for the fourth time. Her political enemies accused her of malpractice in the election. But the world opinion is not fully in agreement with the opposition’s propaganda. The British weekly Ecnomist commented that even without any malpractice Hasina would have won the general election. In the last ten years she has fulfilled almost all her promises to the people. She fought against poverty and hunger successfully. The war criminals of 71 including the killers of Bangabandhu were put on trials and punished. Under her leadership politics in the country has stabilized, the democratic practices are continuing, economy is flourishing and the law and order has not deteriorated. If this process continues then within the next ten years the country will become a developing country of middle-income. The most dangerous enemies of democracy in Bangladesh are communalism and ultra-fundamentalism. These forces have almost been crushed. The unfulfilled agenda of the Hasina government is the taming of the demon of corruption which has created a powerful place inside Awami League too. The Prime Minister assured the public that this time her government’s main target is to free the society and administration from corruption and that the government will try to establish good governance for the people. My friend Barrister Moudud Ahmed, though he belongs to BNP keeps himself above political controversy as a writer. He wrote a book on the Mujib era in Bangladesh. In his opinion Sheikh Mujib’s politics in the opposition and government created an era called Mujib era. He paid tribute to Sheikh Mujib for making the country independent and criticized his own leader General Ziaur Rahman strongly. His analysis of the Mujib era is sometimes nearer to truth, but as a politician Moudud himself could not uphold this truth. As a politician Moudud’s vision has been blurred by opportunism. Otherwise, he could establish himself as a true political analyst than many members of our so-called civil society. The history of Bangladesh has witnessed several glorious periods or eras from the ancient times, especially the era of Shaista Khan is very prominent and has turned into a folk lore. People say that in that era one could buy a huge amount of rice in one rupee, which means that the price of essentials was within easy reach of people. There was also the era of Alivardi Khan when several groups of vicious thugs called ‘Bargi’ and another killer group under Bhashkar Pandit were crushed through strong operation and good governance was established. During the British rule the era of Fazlul Haque was known for the renaissance of the Bengali Muslims, the rise of peasant powers, spreading of education and the emancipation of ordinary people from the torture of landlords. The most significant era was Mujib era when Bangladesh achieved its independence and the rise of a non-communal, cultural nation state was accepted by the whole world. Then progress of this era was disturbed by the counter revolutionary forces who were defeated in 1971. After defeating these evil forces Sheikh Hasina came to power in1996 and again in 2008. Since then a glorious period of development and democracy started and is still continuing. Now this is called the Hasina era. I have already mentioned her amazing success in socio political and economic fields earlier. She has shown courage to face mighty America, ignored the threat of the World Bank and started building Padma Bridge with undaunted courage and stamina. No doubt this era will be included in annals of the history of Bangladesh and will turn into a folk lore among the future generations like Shaista Khan’s era. I don’t want to add to the list of her success and make it longer. I feel proud and fortunate that I am one of the witnesses of the two glorious eras associated with the names of Mujib and Haisna. DOES SHEIKH HASINA DESERVE THE CREDIT? Bangladesh has become one of the world’s economic success stories in Recent years . Per capita income has risen nearly threefold since 2009, reaching $1,750 in 2018, achieved near self-sufficiency in food production for its 166 million-plus population .The Sheikh Hasina lead Government took power in 2009. Now Bangladesh Named as one of the Next Eleven Economy & ranks 43rd in terms of nominal GDP , 29th in terms of purchasing power parity . Earlier this year, Bangladesh Achieved economic milestone by graduating from “least developed country” to “developing economy” . Per Capita Income witness a Boost after 2010 and Rapid growth rate compared to Historical Data . The political opposition or some expert may try to evaluate the achievement in different way . But History and those economic indicator say The leadership of a Country is sole responsible for its failure and achievement . Time will Honor The leader who tried to Change the economic and Social culture of Our Sonar Bangla . Sheikh Hasina The Daughter of Bangladesh First Leader and Father of the Nation Sheikh Mujibur Rahman . She is the Second survivor of a Brutal Murder of all of her Family Member . She is the only living World Leader who lost all of her family member in an single day . Bangladesh has the fastest growing class of rich people in the world today, according to a global report. In six years between 2012 and 2017, the country has seen a 17.3 per cent growth in the number of what is called ‘Ultra High Net Worth (UHNW)’. Bangladesh has thus surpassed all other countries, according to the World Ultra Wealth Report 2018 by US-based WEALTH-X, reports UNB. UHNW refers to individuals with a net worth of US$30 million or more. WEALTH-X found only five countries in the world that have posted double digit growth in the number of their rich people, said the latest report released on 5 September. These countries are: Bangladesh (17.3 per cent), China (13.4), Vietnam (12.7), Kenya (11.7) and India (10.7). “Looking at a broader range of nations, China – perhaps surprisingly – is not the global leader. That status lies with Bangladesh, which has registered compound annual growth in its UHNW population of 17.3 % since 2012,” reads the report. The performance of the countries such as Vietnam, Kenya and India also illustrates ‘significant opportunities for wealth creation across the emerging world’, added the report. Five other countries that are among top 10 are: Hong Kong (9.3 percent), Ireland (9.1), Israel (8.6), Pakistan (8.4) and United States (8.1). The number of rich rose by 12.9 per cent globally in the six years. In terms of richest concentration of rich people, the top 10 countries are: The United States (79,595 UHNW population), Japan (17,915), China (16,875), Germany (15,080), Canada (10,840), France (10,120), Hong Kong (10,010), United Kingdom (9,370), Switzerland (6,400) and Italy (5,960). Wealth-X estimates wealth distribution across each country’s population. According to the report, in 2017, the world’s UHNW population rose by 12.9 percent to 255,810, a sharp acceleration from a year earlier. Their combined wealth surged by 16.3 percent to $31.5 trillion, implying healthy gains in average net worth. Bangladesh’s economy has grown 8.13 per cent this fiscal year, the highest in its history, Finance Minister AHM Mustafa Kamal said while releasing a provisional estimate. The minister disclosed the latest figure of the gross domestic product (GDP) for 2018-19 fiscal year, which will end this July. Meanwhile, the government at the Executive Committee of the National Economic Council (Ecnec) meeting passed a revised budget of Tk 1,74,620 crore which was originally Tk 1,80,000 crore. Bangladesh’s economy will grow at 8 per cent in the fiscal 2019, Asian Development Bank said today in its outlook for the economy. “Bangladesh’s economy is in a good shape and is likely to grow,” it said in the report ‘Asian Development Outlook 2019’ published this morning. The Manila-based lender also remarked that “Bangladesh is likely to be the fastest growing economy in Asia and the Pacific” in its report. It underlined that such momentum is needed to sustain to achieve Bangladesh’s goal of becoming a higher middle-income country and beyond. ADB added, Bangladesh must focus on prudent macroeconomic policies, sound debt management, resource mobilisation, and strengthening banking sector. Bangladesh is confident that it will surpass the 8 per cent growth threshold in the current fiscal year on the back of manufacturing and service sectors. Finance Minister AHM Mustafa Kamal has said the growth in fiscal 2018-19 is likely to be 8.13 per cent, up from 7.86 per cent from previous year. The Bangladesh economy is charging towards record growth figure for the second consecutive year, driven by double-digit growth in manufacturing and construction sectors. GDP growth in fiscal 2017-18 is likely to be 7.65 percent, up from 7.28 percent a year earlier, as per the estimate of the Bangladesh Bureau of Statistics. This is the third consecutive year that the economic growth was above 7 percent after years of languishing in the neighbourhood of 6 percent. The rise in construction growth is attributable to progress in implementation of mega projects and increased growth in housing construction, stimulated, among others, by recovery in remittance, said Zahid Hussain, lead economist at the World Bank’s Dhaka office. The provisional estimates show that the manufacturing sector grew 13.18 percent this fiscal year and the construction sector 10.11 percent. “The final figures may be higher,” said Planning Minister AHM Mustafa Kamal while unveiling the provisional estimates at a press conference held at the National Economic Council auditorium after the meeting of the Executive Committee of the National Economic Council. The provisional figures are based on data from the past 6 to 9 months. Various macroeconomic indicators are now showing positive trend, he said, citing export and remittance as examples. “Due to these causes, growth was good. Besides, there is no depression in world economy, which also helped,” the planning minister added. Kamal’s disclosure comes after Finance Minister AMA Muhith on Sunday said the economy is on track to log in better GDP growth figures than last year even though it is an election year. The BBS data shows that the agriculture sector, whose contribution to the GDP is 14.10 percent, grew 3.06 percent in fiscal 2017-18, up from 2.97 percent last year. The services sector, whose contribution to the GDP is 52.85 percent, grew 6.33 percent this year, down from 6.69 percent registered a year earlier. There was a decrease in growth of wholesale and retail trade, transport and communication, financial intermediation, education, health and social work sectors. Only hotel and restaurants saw higher growth. The industrial sector, whose contribution to the GDP is 33.71 percent, grew 11.99 percent against 10.22 percent in fiscal 2016-17. The work of various mega projects including the Padma bridge and metro-rail are advancing rapidly, said the BBS report. “Investment in both the public and private sectors is rising this year. In the construction and housing sector, there is a positive trend this time. This is why the industrial output is increasing,” Kamal said. Hussain though found the manufacturing sector’s growth to be puzzling. The private investment to GDP ratio increased marginally from 23.1 percent in fiscal 2016-17 to 23.25 percent in fiscal 2017-18. But, gas production is projected to increase by 1.32 percent, coal production declined 20.47 percent, electricity production plus imports increased 9.4 percent, and industrial raw materials import in nominal dollars increased 8.2 percent. Employment in manufacturing increased 2.3 percent in 2017, according to the latest labour force survey. “Growth in none of these inputs mirrors the image of 13.2 percent manufacturing growth. Hence, the puzzle,” he added. Meanwhile, at the Ecnec meeting yesterday, the planning minister presented the GDP size and per capita income in dollar term. In dollar term, the GDP size is $274.5 billion this fiscal year, which was $249 billion last year. The country’s per capita income is $1,752, which was $1,610 in fiscal 2016-17. DHAKA — Bangladesh defies economic and political gravity. Since its 1971 war of independence with Pakistan, the country has been known for its tragedies: wrenching poverty, natural disasters and now one of the world’s biggest refugee crises, after the influx of 750,000 Rohingya Muslims fleeing persecution in neighboring Myanmar. Yet, with remarkably little international attention, Bangladesh has also become one of the world’s economic success stories. Aided by a fast-growing manufacturing sector — its garment industry is second only to China’s — Bangladesh’s economy has averaged above 6% annual growth for nearly a decade, reaching 7.86% in the year through June. From mass starvation in 1974, the country has achieved near self-sufficiency in food production for its 166 million-plus population. Per capita income has risen nearly threefold since 2009, reaching $1,750 this year. And the number of people living in extreme poverty — classified as under $1.25 per day — has shrunk from about 19% of the population to less than 9% over the same period, according to the World Bank. Bangladeshi politics have been dominated for years by the bitter rivalry between Hasina and former Prime Minister Khaleda Zia, whose family histories go back to opposing sides of the liberation struggle, when Bangladesh was known as East Pakistan. Both women have been in and out of power — and prison — over the past three decades. Khaleda Zia, who chairs the opposition Bangladesh Nationalist Party, is in jail on corruption charges that she says are false. Since 1981, Hasina has led the ruling Awami League, founded by her father, Sheikh Mujibur Rahman, the country’s first president, who was killed by army personnel along with most of his family in 1975. The party enjoyed strong support in some past elections. But opposition activists and human rights groups have voiced concern about potential polling fraud and intimidation tactics. After two consecutive five-year terms for the ruling party, analysts point to a palpable “anti-incumbency” sentiment among some voters. Yet from an economic standpoint, many agree that a ruling party victory would support further development. “If the polling passes without too much strife and the status quo is maintained, then [Bangladesh] would seem an attractive long-term story,” said Christopher Wood, managing director and chief strategist at Hong Kong-based brokerage CLSA. Business seems largely on the ruling party’s side — if only for stability’s sake. In recent interviews in Dhaka, executives and political analysts dismissed suggestions that political turbulence could derail the country’s growth trajectory. More successful is Hasina’s digital push. With her son, a U.S.-educated tech expert, as a key adviser, the program has introduced generous tax breaks for the information and communications technology sector and a sweeping scheme to build 12 high-tech parks across the country. In Dhaka, a new generation of IT entrepreneurs talks about beating India — which leapt onto the global map with its basic outsourcing industry — by focusing on AI, robotics and disruptive technologies. But go-ahead industries badly need more financing, said Khalid Quadir, CEO and co-founder of Brummer & Partners (Bangladesh), which manages Frontier Fund, the country’s only private equity fund. He argues that innovation thrives on a strong private equity industry that can channel funds to promising companies and help them list. Bangladesh is hoping to challenge India in pharmaceuticals, too. With its “least developed country” status, the country has enjoyed a waiver on drug patents. This has fueled intensifying competition between India and Bangladesh in the field of generic and bulk drugs. Among local star performers is Incepta Pharmaceuticals, Bangladesh’s second-largest generics maker, which exports to about 60 countries, and Popular Pharmaceuticals, which is eyeing an eventual listing. One of Bangladesh’s competitive disadvantages is its poor infrastructure, and the country has turned to China for help. Under its Belt and Road Initiative, China has financed various megaprojects in Bangladesh, including most of the nearly $4 billion Padma Bridge rail link, which will connect the country’s southwest with the northern and eastern regions. In all, China has committed $38 billion in loans, aid and other assistance for Bangladesh. Bangladesh is among the three fastest growing economies in the world, according to the International Monetary Fund (IMF) — in yet another thumping endorsement of the country’s extraordinary growth momentum. The economy will grow at 7.3 percent this year, which will be second highest in the world, as per the IMF report ‘World Economic Outlook, April 2019: Growth Slowdown, Precarious Recovery’ revealed on Tuesday. The IMF’s projection comes on the heels of the World Bank’s and the Asian Development Bank’s. The two multilateral lenders’ projections for this fiscal year, however, are lower than the prediction of the government: 8.13 percent.